John Beatty is a Richmond resident and artist who comes from a family of Ontario painters. He is related to John William Beatty who painted with members of the Group of Seven and later became acting principal of the Ontario College of Art. John has been artistically motivated and interested in art all of his life. School art projects and sports provided him with the subject matter he needed to practice his developing drawing skills. Coming from a small town , he loved the great outdoors and its connection with nature. This interest began when he started accompanying his father on plein air excursions (painting outdoors) around where he lived. John's painting career began while recovering from a serious hockey accident while playing Intercollegiate hockey in Toronto. With his dad's oils, he started painting scenes he liked from popular calendars of the time. Encouraged by his early success, he devoted more time to painting whenever he could. He soon got into photography and set out to acquire his own references to work from. 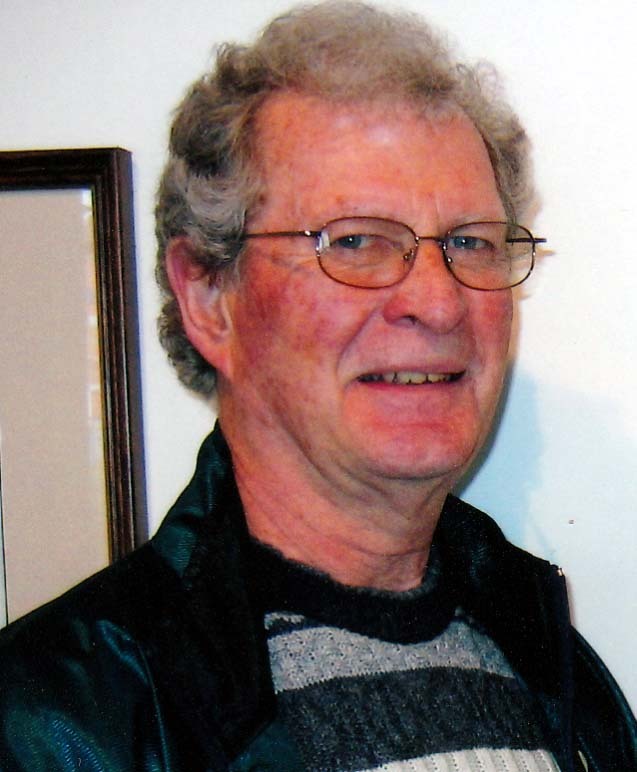 After graduating from Ryerson in Business in 1963, he began a career in the brewing industry but it became a challenge to find time to paint after working and continuing to be very active in a number of sports. It was not until after moving to BC in 1967, after marrying, raising a young family and then returning to UBC and acquiring a teaching degree did he eventually get back to his passion to be an artist. He did his painting entirely during vacation time and this pattern continued until he retired from teaching in Vancouver after 26 busy years. Retirement allowed him time to paint more regularly, to travel and to attend many fruitful workshops with noted artists such as Gordon Smith, Mike Svob, Neil Patterson, Arne Westerman, Jean Pederson. Tony O'Regan, Amanda Jones and David Goatley. He also took extra credit courses in art while at UBC. He paints regularly now in the studio and en plein air with the group Men In Hats., www.meninhats.ca He exhibits and sells his work mainly in the Metro Vancouver area in numerous art events and festivals throughout the year. More than 45 % of his over 1000 paintings have been sold to collectors that are attracted to his painterly landscapes because of their colour and contrasts of light, their mood and the atmosphere that stimulated his senses. Shorelines of trees, rocks, beaches, old buildings and boats are popular themes. Travel subjects, still-lifes and figures can also be on his agenda. Dense vivid colours are used freely to capture that quiet moment in time that collectors can appreciate and admire for a long time. John also enjoys changing older paintings to try out new ideas and teachings. Older paintings sometime get painted over when they don't meet his demand for quality work. He believes the best are yet to come. It is discouraging for him to see how so much subject matter for his paintings has been destroyed in the name of progress. Just opened a new show at a very popular eatery SMOKEHOUSE SANDWICH RESTAURANT at 5188 Westminster Highway in Richmond. Four of my latest paintings are on display on their feature brick wall for all to see. What a place for a lunch or dinner! Check out their website and you'll be anxious to try it for yourself. There are great hosts to serve you. Enjoy the paintings and the top-notch food. ANNUAL SHOWS Throughout the year, John participates in about a dozen group and individual shows in the Lower Mainland. Its a new year and work in the studio is coming to a close. He's about to venture outside for plein air painting with his friends of the Meninhats Group. He'll be busy working on future shows and adjusting old paintings he loves but will endevour to improve. This usually works out well and is encouraging. Because of storage problems at home he is also eliminating paintings from his inventory reluctantly. He is also doing more experimenting with other styles and methods and is encouraged by his results. The group also has a display of paintings presently at City Hall in Richmond inspired from Harold Steeves farm. A dozen artists have contributed some amazing pieces to showcase Harold and his farm. The Annual Finn Slough Show will take place again at the Richmond Art Centre from April 11 to the 14th. John has two new paintings ready for that show. On Friday evening, the 12th there is an opening with a guest speaker along with music and food. Try to attend. You'll be inspired by what you see. John is not doing Doors Open this year but is once again involved in preparing for the Annual Steveston Salmon Festival that takes place on Canada Day, July 1st. As you can see it has been a busy time and with the change in weather the shift will be to working in the great outdoors. He hopes to have you visit the upcoming shows. In the recent Grand Prix of Steveston, John entered the Open Division and received a Second Place Award. 117 Lower Mainland and Vancouver Island artists entered this competition. Artists had 3 hours to complete a painting of a location they didn't know of until the start of the event. He appreciated all of the positive comments of his piece. At any given time, John has an inventory of over 200 original paintings of various subject matter and sizes that are for sale. Contact him by e-mail if you would like to see more of his work. John's artwork is held in a number of public and many private collections mainly in Canada and the United States. To date, John has produced over 975 oil and acrylic paintings. Over 450 of those have been purchased by very satisfied collectors. Commissions are welcome. Also if you have special photos of something you would like to see as a painting, feel free to contact. Telephone John at (604)275-3066 or e-mail John at jbbeatty@shaw.ca for additional information about pricing etc. The paintings in the website represent only about a fifth of his current inventory. What I choose to paint has to do with subject matter that stimulates my feelings, reactions, and observations. I am continually on the lookout for those lush visual images or special things. Photographic references I have taken over the years, are often used as a source. As artists we are so much more aware and alert to our surroundings. Now that I am retired from teaching, I am dedicating more time, energy, and interest into art despite my other passions such as tennis, golf, photography, bridge and reading. It's a great life. I am interested in having gallery representation. To view more of John's inventory, contact him by phone or e-mail to make an appointment. I can be commissioned to do a painting for you from your references. A number of things can be done to enhance a photo when creating a painting. I'd like to help you with this. Meninhats A group of Vancouver area artists who have been gathering together for a number of years to paint outdoors, en plein air. Richmond Artists Guild This is an energetic group of artists mainly from the Richmond and Vancouver area. There are about 60 members who meet once a month for a meeting and demo. They have about four or five shows a years. They have life-drawing opportunities as well. South Delta Artists Guild This is an art group who show their work out of the Longhouse in Tsawwassen. There are about 160 active members that have monthly shows, monthly meetings and demos and offer workshops and life-drawing opportunities.